Dentures are an affordable option to replace one or more missing teeth and can be an alternative treatment choice to a dental bridge or a dental implant. WHAT ARE REASONS WHY A PARTIAL OR COMPLETE DENTURE WOULD BE RECOMMENDED? Depending on the number of teeth missing, there are 2 types of dentures: partial or complete. Both are custom-made to your mouth to provide optimal comfort and fit. Partial dentures are made if a person is missing only some of their teeth. They stay in place by clasping, or anchoring, onto your remaining teeth. The underlying base of the partial denture rests comfortably on the gums and can now be made with or without metal. A gum-colored acrylic material and natural-looking replacement teeth are attached to the base to blend in with your smile. Complete dentures are made if a person is missing all of their teeth. They stay in place by closely fitting, or “suctioning”, onto the underlying gums and bone of your mouth. The underlying base is made out of a thin, gum-colored, acrylic material and natural-looking replacement teeth are attached to the base, giving the appearance of a natural smile. Loose: the retention of dentures relies solely on their "suction" onto the gums and bones of your mouth - the less natural bone that you have, the less likely the denture is to stay in place. Bulky: dentures must be made with a certain thickness and amount of material in order for them to "suction" into place. Hard to bite/chew: with dentures, the bite force is about 1/5 that of the bite force of natural teeth. Don’t fit as well as they did in the beginning: the bone that surrounds our teeth are there to support the teeth, and that bone begins to shrink as soon as teeth are lost (or extracted) and continues gradually over time. Since dentures are made to how the bone shape and size was initially, the fit of the denture can change as bone is continuously lost. Thanks to modern-day advancements in dentistry, there is now an excellent solution to these common complaints that is better and more reliable than traditional dentures: implant-supported dentures. The use of implants provides a significant improvement in retention, requires less thickness and material to be used to make the denture, increases bite force, and prevents bone loss so that the denture fits just as well as it did from the start. Removable dentures have strong built-in attachments that snap into place on the implant. There is now also the option for fixed, (non-removable) dentures which are securely attached to the implants and provide the ultimate level of retention and stability. With implant-supported dentures, you really do have the peace of mind to never worry about your dentures falling out mid-sentence or mid-meal again! 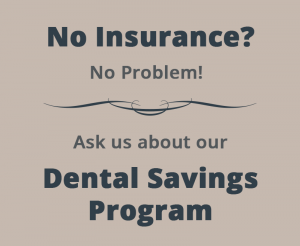 For more information or to learn more about which denture option may be best for you, call us at (815) 318-0620 or visit our contact page.